This sixteenth-century mystic, whose mission was to ignite a love of Jesus in the hearts of all, can be a companion for your own spiritual journey. 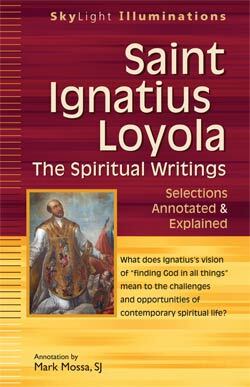 This fascinating introduction to Ignatian spirituality draws from contemporary translations of original texts focusing on the practical mysticism of Ignatius of Loyola. Excerpts from The Spiritual Exercises, his autobiography, and his collected letters and instructions provide direct insights from Ignatius about the role of humility, obedience, discernment, sin and selfawareness in spiritual life. Substantive facing-page commentary illuminates Ignatius’s perspectives on many key aspects of Christian spirituality, including trusting in God, imitating Jesus and the saints, love and the common good, and much more.